Father’s Day is right around the corner, which means it’s time to treat dad to a day of scrumptious food, cold beer and great company. The wonderful thing about Father’s Day is that it falls right before the official start of summer (June 21st for 2014). Of course, the clear skies and bright season makes this season the perfect time to take the cooking outside. This year, let dad take a break from the usual outdoor grilling and BBQ festivities and take over the reins instead! If you’re unfamiliar with how to grill, have no fear! 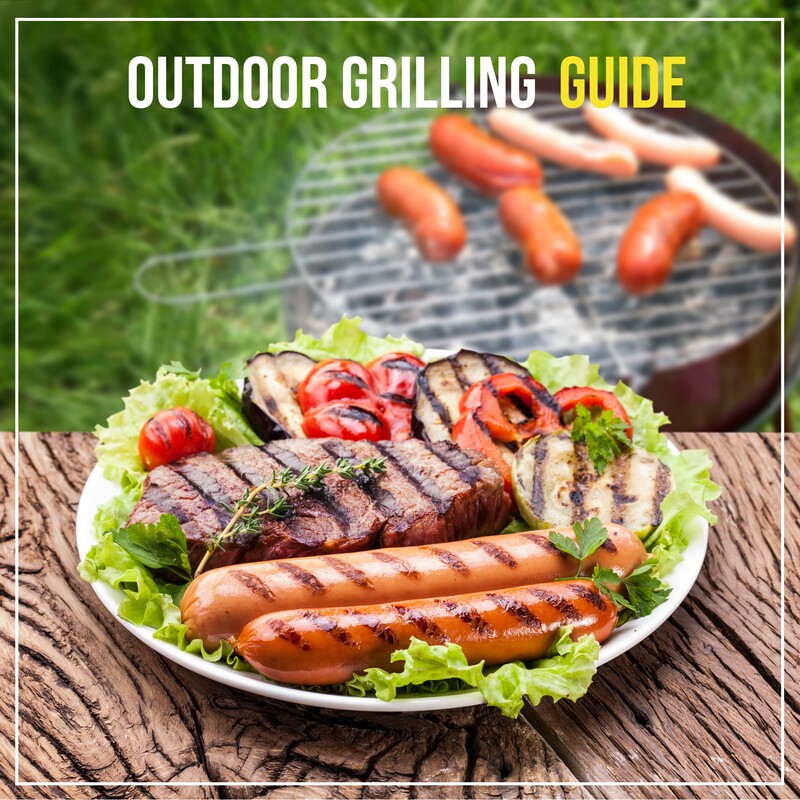 To give you a head start, we’ve put together an Outdoor Grilling Guide with simple grilling tips and techniques to make this Father’s Day a truly memorable experience for dad. From grilling steaks to burgers to vegetables, these quick tips are what you need to know to throw a fabulous outdoor BBQ that is sure to impress dad. Steaks Not many things beat a good steak at an outdoor BBQ and dad will certainly be happy to find one on his dinner plate on Father’s Day. The methods for grilling a great steak are not limited to popular steakhouses, and you can do it right at home. Treat your meat right and you will have the perfect steak. Choose the right cut. While you don’t necessarily have to shell out top dollar for a great steak, different cuts will yield different results. Rib eye has a tendency to be the most flavorful, due to its high amount of marbling. Strip steak, also known as New York Strip, also has good marbling and is a little leaner and less expensive. Top sirloin would be the most affordable, but the texture can be tough and would require tenderizing. Look for steaks that are at least 1-inch thick. Trim the fat. A little fat never hurt anyone in a steak. In fact, the marbling of fat in the steak is what gives it its flavor. But excess fat surrounding the steak can cause flare-ups on the grill, causing the steak of burn. Remove just a thin layer while the steak is still cold. Season with salt and pepper. Someone once said that a great piece of meat needs only two things–salt and pepper. There’s no need to drown your meat in heavy spices and seasonings. Salt and pepper enhances the meat while allowing its natural flavor to sing. If you insist on adding additional seasoning to your steak, dry spice rubs like paprika or onion and garlic powder make great complements. An exception to this rule is if you’re working with cheaper or tougher cuts of meat such as flank steak. Sear, then cook. Remember those lovely grill marks that you see on steaks? 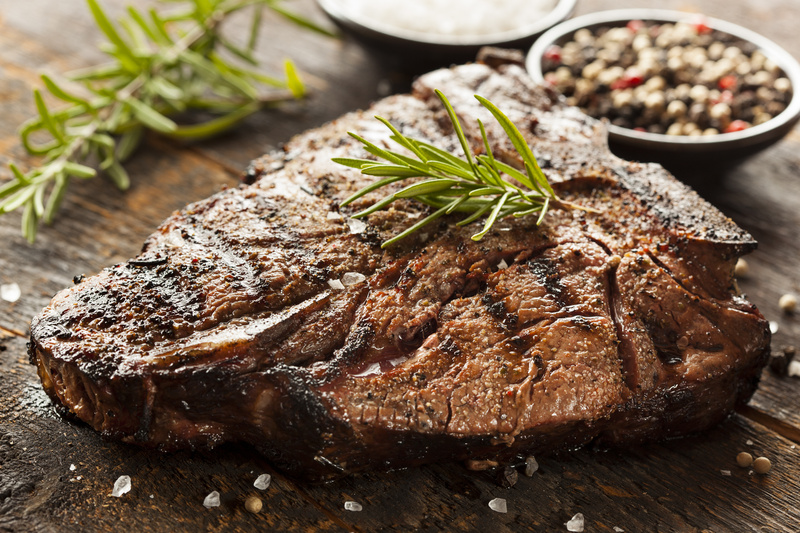 Here’s a secret–those grill marks are achieved through searing the steaks. Place the steaks on a hot grill for 2-3 minutes and do not touch them. Do not flip them. Do not press on them. Simply let it sizzle for a couple of minutes and then move them about 45 degrees to finish searing. Once those minutes are up, flip the steaks over and sear the other side. After searing, turn the grill down to medium heat and finish cooking. The level of doneness you prefer will be determined by how long you allow them to cook. Leave it alone. Once your steaks have finished cooking, leave them to rest for at least 5 minutes. While it may be tempting to cut into a piping hot steak right away, the juices will be concentrated at the center of the meat. By giving the steak some time to rest, the juices will redistribute themselves throughout the meat more evenly. Burgers Let’s face it when it comes to burgers. We all want the same thing–a tender and juicy burger that we can sink our teeth into. Burgers sound easy to make, and they truly are. With so many ways to grill them, there are only a few simple rules to follow to create flavorful burgers every time. Choose the right meat. You probably won’t hear us say this often but with burgers, fat is good. Choosing the right fat-to-meat ratio is crucial in creating a tasty burger and around 20 percent of fat to eighty percent of meat is the magic number. Combine equal parts of ground chuck and ground sirloin for the best flavor and tenderness. Shape the patties. Bigger isn’t always better. You’ll want to make your patties just thick enough that they will maintain their shape on the grill without overcooking. Make them 1-inch thick and weigh around 1/3 pound and pack them loosely for optimum juiciness. Don’t forget to indent the patties in the center with your thumb to prevent swelling on the grill. Use high heat. 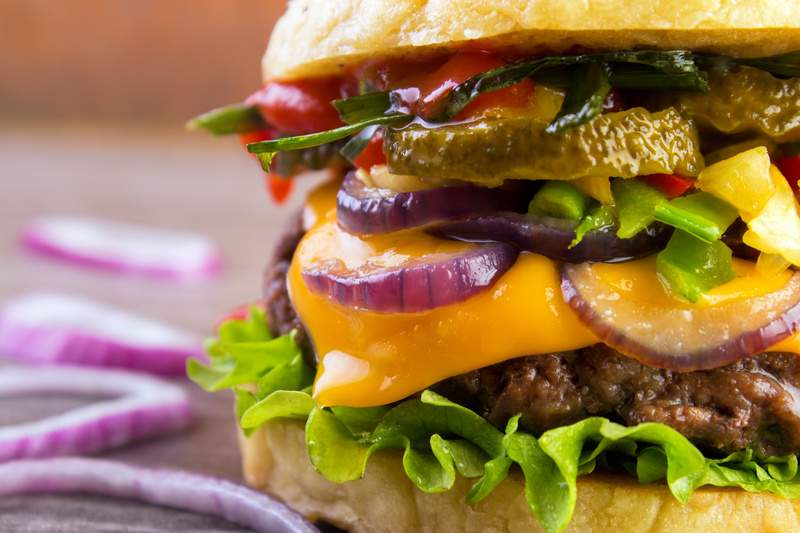 Since burger patties are thin, it’s best to use high, direct heat to cook them as quickly as possible. Cooking them for too long will dry them out. No pressing down. You may have seen on television people pressing down on burger patties with their spatula and watching the juices run out. This is a big no-no in grilling, simply because this move will push out all of the fantastic juices and flavor. Flip once, and you’re done. To achieve maximum juiciness in a burger, you may flip your burger once to turn it over and allow the other side to continue cooking. Flipping the burgers more than once will disrupt the juices in the burger, thus making it dry out quicker. Chicken Those who prefer white meat over red meat may opt for BBQ chicken at their outdoor gathering. While chicken is fantastic for grilling, chicken is also one of the more difficult meats to master on the grill, particularly chicken breasts. Nobody likes to eat dried, jerky-like chicken. However long you leave chicken on the grill depends on the different parts of the chicken. Here are a few things to remember before tossing any chicken onto the grill. Pound the chicken breasts flat. 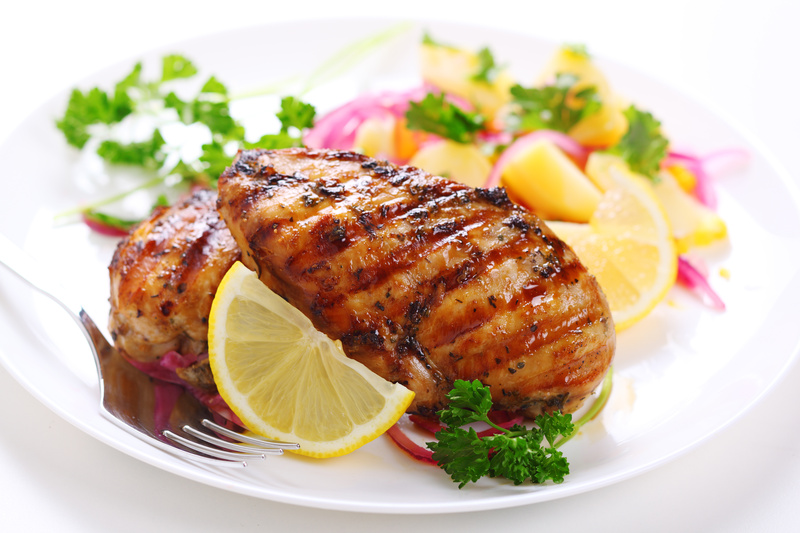 Chicken breast best retains its moisture when cooked flat. The uneven height of most chicken breasts is often what dries them out in certain portions of the meat. Place the chicken in a sealed plastic bag and use a heavy mallet or rolling pin to pound them until they have reached an even height. Keep the chicken breasts at about 3/4 inch thick. Brine or marinate. Soaking chicken in a liquid marinade or a salty brine helps the meat retain its moisture. Simply keep it in the liquid for around 30 minutes in the refrigerator before grilling. Oil up the grill. If you choose to remove the skin from the chicken, you may want to oil the grates of the grill before heating them up. Like in a pan, meat has a tendency to stick and it’s important to keep the pan well oiled. This also applies to grilling as well. Save the sauce for the end. BBQ chicken is not complete without a sweet and tangy sauce to go along with it. But wait until until the end when the chicken is almost ready to baste with sauce. Any sooner, the sauce and the chicken will burn. Vegetables When it comes to vegetables, grilling them is one method you need to take advantage of. The high heat of the grill gives vegetables a more caramelized sweet flavor, bringing out their natural sugars and retaining more vitamins and minerals. Many vegetables work wonderfully on the grill and complement just about any meat you can throw on the grill. Choose in season vegetables. Fresh, local vegetables that are in season always taste the best. Summer squashes, tomatoes, zucchini, eggplant and asparagus are just among a few vegetables that are great for summer grilling. Prep the vegetables with oil. Brush the grill and vegetables with a light layer of oil before grilling. Because vegetables start to dry out once they hit heat, this will prevent them from sticking to the grill. Make sure not to use too much, as any oil drippings may cause the grill to flare up and the vegetables to burn. Use skewers or grill baskets. 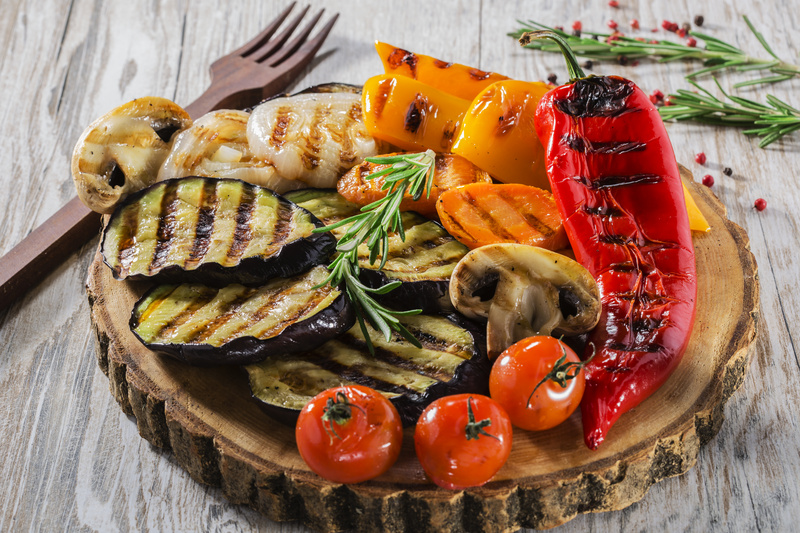 While there are certain vegetables that can go directly on the grill, smaller ones such as tomatoes and baby vegetables can easily fall through into the grill while cooking. Place them on a skewer or into a grill basket. You may also use a small basket made of foil. Are you planning to fire up the grill on Father’s Day? We’d love to hear what you’ll be cooking up! Happy grilling!